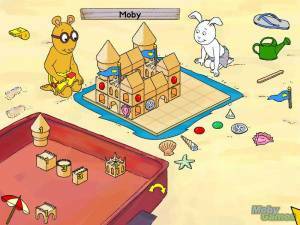 Millie's Math House is the first game in Edmark's early line-up of educational games designed for very young children to use. The interface is completely point-and-click, with little to no text and instructions are given verbally. 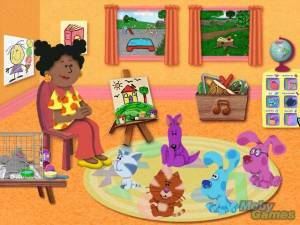 The player is taken directly to the main page where Millie perches on a desk in front of a row of cubicles, each of which takes the player to a math or pre-math activity. 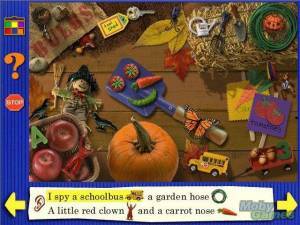 There are seven different activities in this game, and each activity has two modes; Explore and Discover and Question and Answer. The first mode encourages the player to click around and experiment, emphasizing that he is in charge. 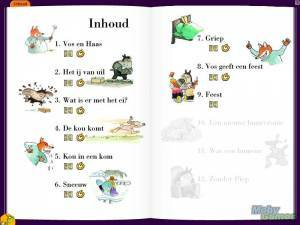 In Question and Answer mode, which is entered by clicking the animal inside the picture frame, a character will ask the player to perform tasks related to the current area. The following descriptions apply to Question and Answer Mode only:Little, Middle, & Big - the player is presented with three characters and an array of variously-sized shoes; each character will ask him to find a pair that fits their particular size. 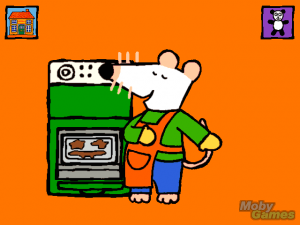 Mouse House - after the player selects a simple or complex blueprint for a house, Frank Lloyd Mouse will ask him to find all the shapes to build it, one by one. What's My Number? - standing concealed behind a curtain, Dorothy Duck tells the player how many objects she has; the player must select the same number and place them on the stage. 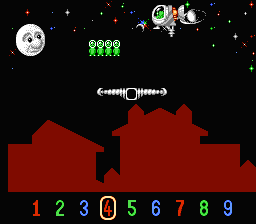 Bing & Boing - bouncy creature Boing creates a picture pattern and repeats it with something missing; the player is asked to finish it. Each picture also has its own associated sound, and if the player has a microphone he can replace the sounds with his own. Build-A-Bug - the rabbit shows the player a plan for the number of body parts the bug should have (3 eyes, 8 legs, for example); the player must click the correct number from the top of the screen and the body part from the left. 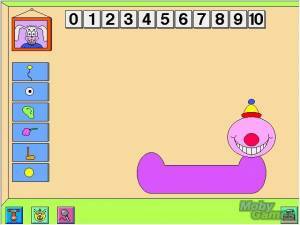 Number Machine - Annie the worm will ask the player to find a specific number on the cash register. Choosing the icons on the bottom right will raise the numbers on the keys up to 30. 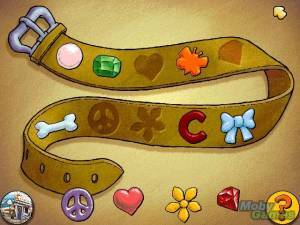 Cookie Factory - Harley the horse wants a specific number of jellybeans on his cookie; the player must press the dispenser the correct number of timesThe game allows any number of tries in Question and Answer mode, the player is not penalized for wrong answers at any time. Parents are given several configuration options (Ctrl/Alt + A in Windows, Option/Command + A on a Mac), allowing them to disable music, printing, set the volume, allow exiting, or enable single switch input, which moves the arrow from choice to choice on screen with a click to indicate a selection.